Kicking off the first seminar of summer 2018, Shem Lau-Chapdelaine presented a small portion of his PhD work. 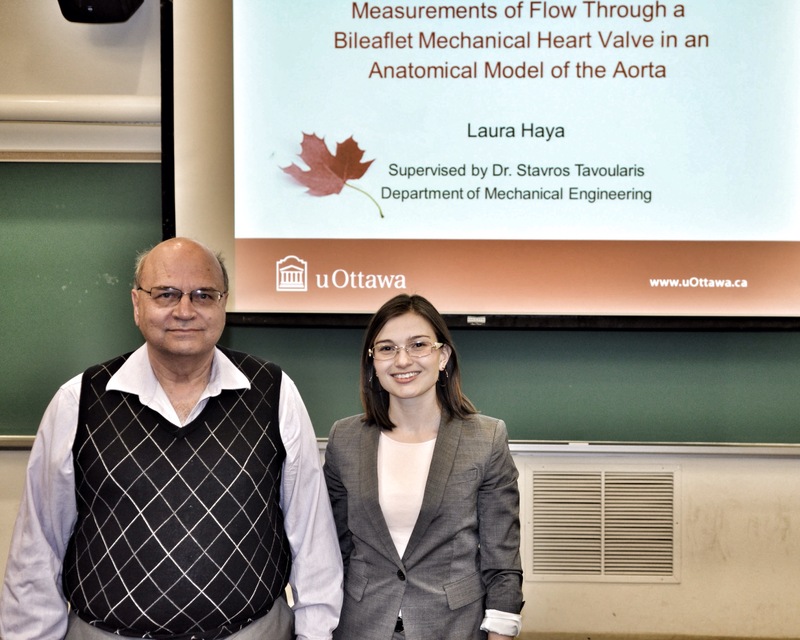 The title of the talk was “Detonation model using Burger’s equation and a pulses reaction”. 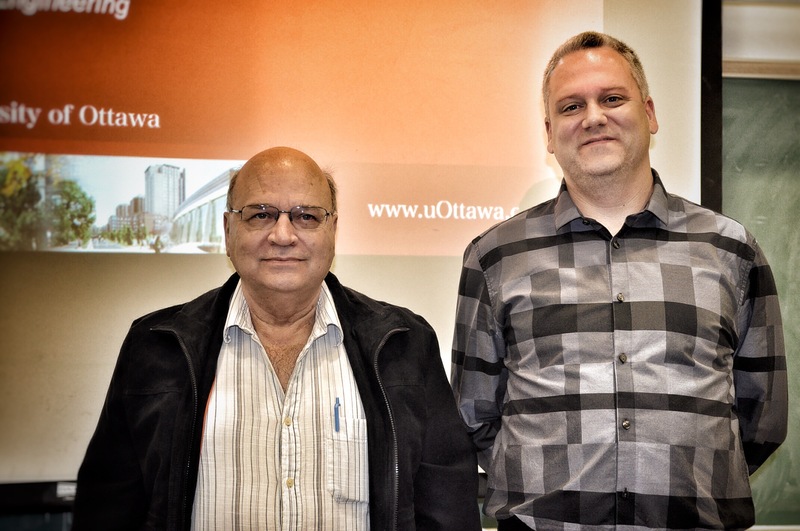 Unfortunately, thesis supervisor Dr. Matei Radulescu could not attend. Great talk, Shem! 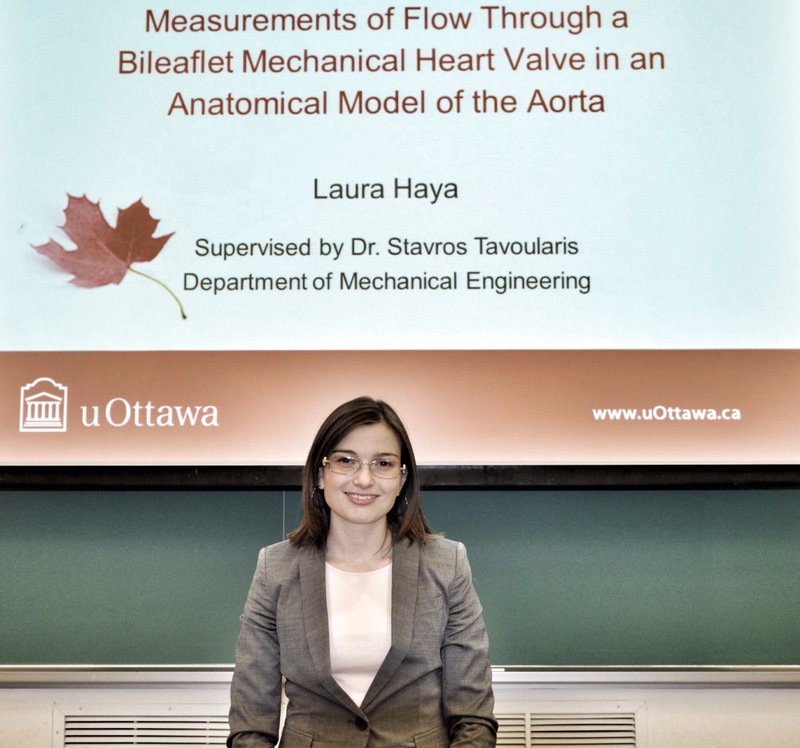 Laura presented a really interesting talk on flow measurements through a bileaflet mechanical heart valve in an anatomical model of the aorta. Supervisor Dr. Tavoularis was on hand for moral support, cookie munching and a photo op. This was a well-attended last seminar of our winter Friday seminar series. Looking forward to next semester! Next week (October 19th at 2:30pm in SITE B0138) we have a special guest speaker who will be giving a talk. Sina Ghaemi from the Department of Aerodynamics, Delft University of Technology, will be giving a talk on the kinematics and dynamics of turbulant trailing-edge flow. The prominent challenge of the trailing-edge noise of aircrafts is associated to the acoustic emissions of a large range of pressure fluctuations within the adjacent turbulent flow. In this study, the source of the trailing-edge noise is tackled through (a) identification of the coherent structures of the turbulent flow at a sharp symmetric trailing-edge followed by (b) the evaluation of PIV-based pressure technique to (c) characterize one of the relevant acoustic sources known as the high-amplitude pressure fluctuations. The evolution of the turbulent boundary layer into the subsequent wake at the trailing-edge of NACA0012 airfoil is investigated using tomographic particle image velocimetry (Tomo-PIV). The high-speed streaks are observed to persist over a longer distance than the low-speed streaks within the wake region due to the vortical activities introduced here as “counter-hairpin” vortices. These vortices exhibit opposite features relative to the typical hairpin vortices of the turbulent boundary layer. Identification of the acoustic sources requires access to the unsteady pressure field within the turbulent flow. In order to evaluate the pressure field, time-resolved three-dimensional velocity measurement using Tomo-PIV is apply in combination with the Poisson pressure equation. 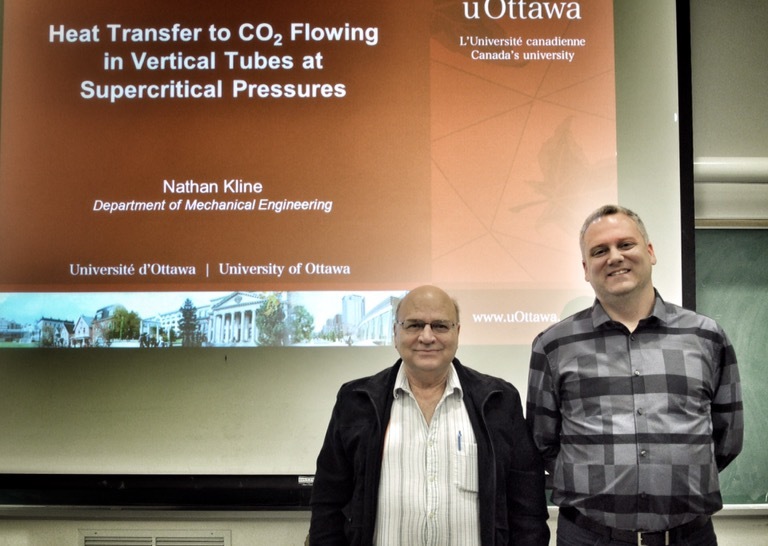 The pressure field is obtained within a turbulent boundary layer as a benchmark flow and is locally validated against surface pressure measurement using electret microphones. Finally, the high-amplitude pressure fluctuations within the turbulent boundary layer are investigated as the major acoustic source contributing to the trailing-edge noise. Three-dimensional measurement of the velocity field along with the evaluated pressure field demonstrated the correspondence of the positive and negative high-amplitude pressure peaks to the shear layers and vortical structures of the turbulent boundary layer, respectively. The results point out possible control strategies for trailing-edge noise attenuations.